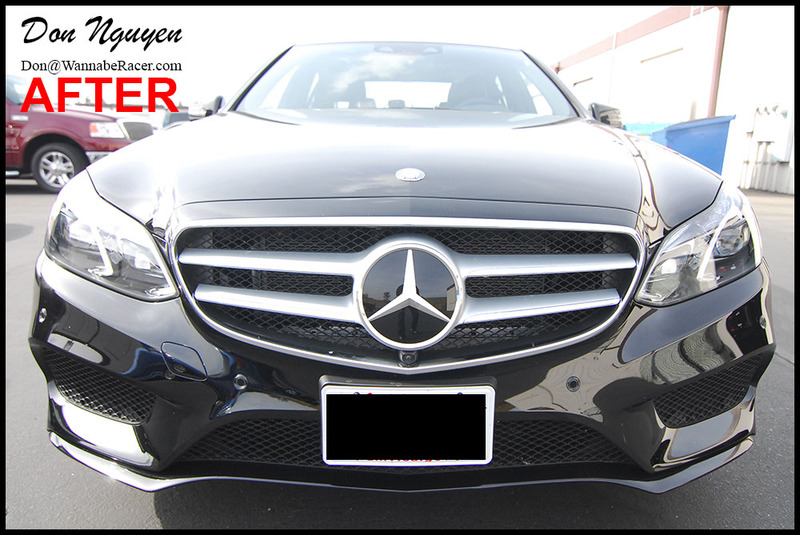 More and more chrome keeps appearing on the newer Mercedes that have been coming out, so more than ever, I have been getting a lot of Mercedes owners coming by to have the chrome blacked out on their cars. 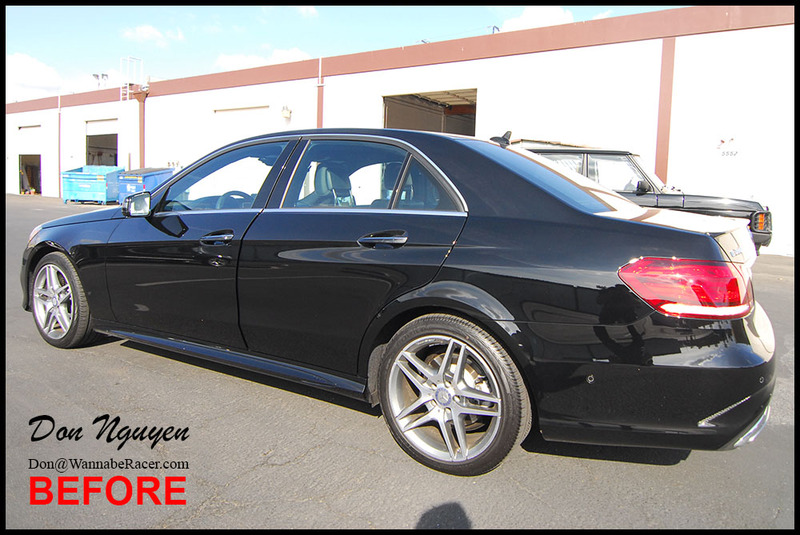 The owner of this black Mercedes Benz E class sedan had me apply a gloss black vinyl film to all of the window trim, front lower bumper lip, rear bumper diffuser, and chrome trunk bar to completely get rid of all of the chrome on the car. The owner of this car was from Los Angeles and came out to me in Anaheim Hills/Orange County to have the car wrap for his vehicle done.